To kick start this annual activity, CORDIO has already sent out two bleaching alerts to partners in the Western Indian Ocean region for mid-January and the start of February. 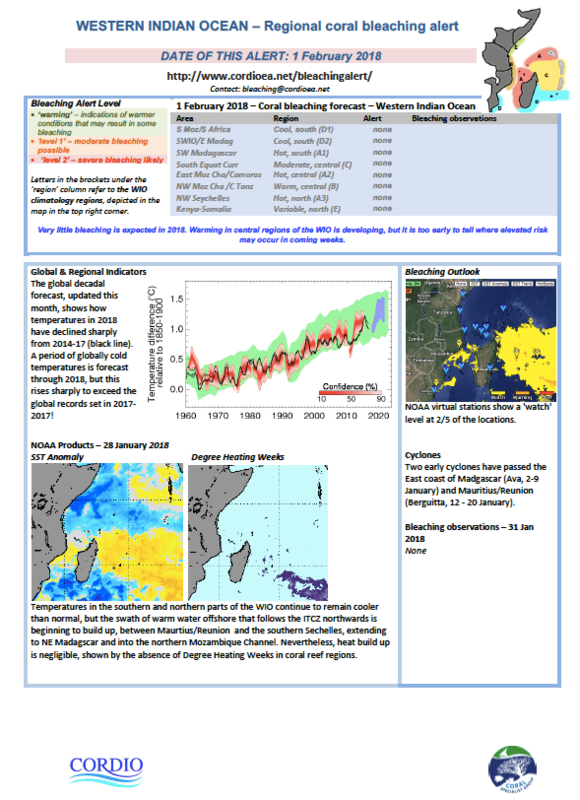 The bleaching alerts are used by CORDIO to inform regional partners about the latest climatic and bleaching developments, allowing them to prepare for any impending bleaching events in their area. 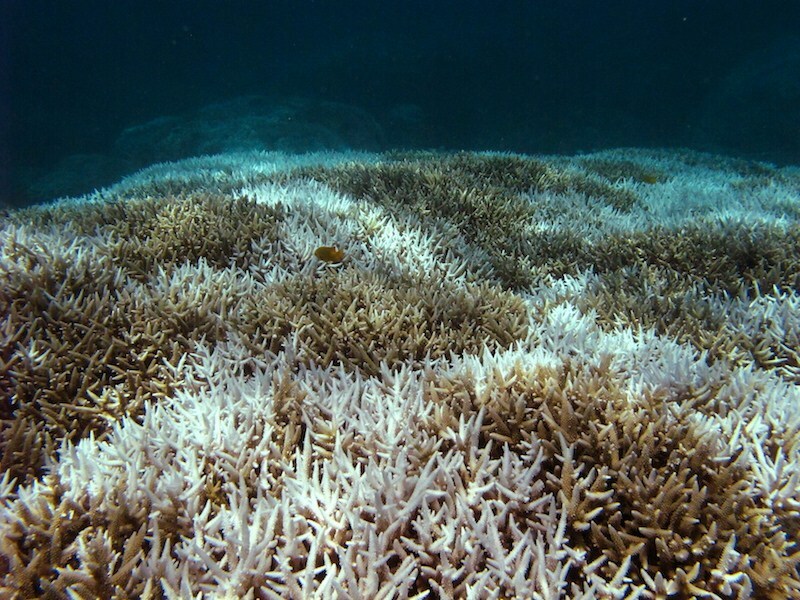 The alerts utilise the bleaching satellite products of the US National Oceanic and Atmospheric Administration (NOAA) Coral Reef Watch Initiative. Further, the alerts are customised using local and regional climatic factors and are accessible to different user groups, ranging from protected area managers to researchers. ‘warning’ – indications of warmer conditions that may result in some bleaching. ‘Level 1’ – moderate bleaching possible. ‘Level 2’ – severe bleaching likely. You can submit your own bleaching observations to us using our bleaching report form. For further information concerning the bleaching alerts, please follow this link.